She came from Czech Republic, her name is Maria and she is a good witch. All who knows me personally knows that my nickname is a which name and also I have nickname flame_witch in LiveJournal, so witches are kinda my mascot. Why I am posting it here? In my handmade blog? Because it's a handmade, at least I was told that :) And because I like it a lot. Czech traditional marionettes are usually hand carved from lime wood. I have very simple one but there are marionettes that have movable mouth and ears and have much more than four strings. 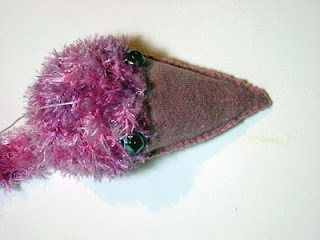 I found two shops with amazing puppets: www.djepeto.com and www.handmadepuppetdreams.com. 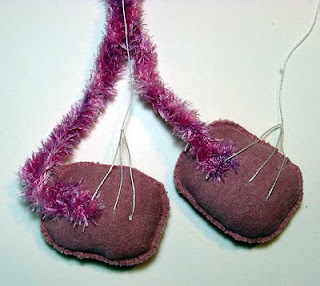 Creating marionette is hard and delicate workmanship, but everything is possible and here is some tutorial how to make simple but cute marionette. 9) scissors, threads, nails, hammer, needles, awl. Step 1. Neck Kniting. Make 40 chain stitches, and than 3 rows of single snitches. Fix the thread and left thread around 7 inches long. We need this part of thread to attach head to the body later. Make legs: make 80 chain stitches and 2 rows of single stitches. Reverse, fill up with the polyester batting, attach edges to each other using slip stitches. Make head. Create 5 chain stitches, make circle with 1 single stitch. Make 1 row of single stitches. In second row add one more single stitch in each second stitch. In third add one more single stitch in each 3rd stitch; in 4th row put 2 single stitches in each 4th stitch, and in 5th row put 2 single stitches in each 5th stitch. Make 4 more rows, fill up head with the polyester batting and finish your crochet work. Step 2. Cut off jersey beak and paws parts. For beak we need a triangle with 3 inches long sides. Paws are almost oval, 3,5 inches long and 2,5 inches wide. Sew paws and beak. And fill them up with polyester batting. Step 3. Put together all parts using thread and needle. Attach eyes. Step 4. Take two threads 40 inches long and two threads 20 inches long. Attach these threads to the top of head, paws and tail using needle. 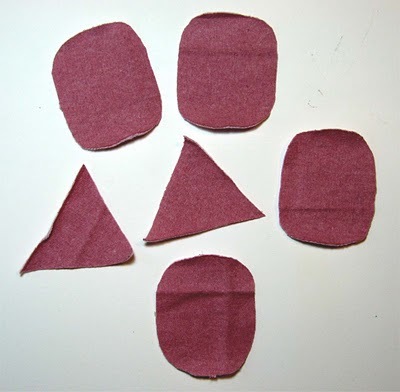 It is better to fix needle in three points on paws or you can add some weight to the paws. It will be easer to control your puppet. Step 5. Make the control bar. Take wooden rail and cut it to half (8 inches long each). 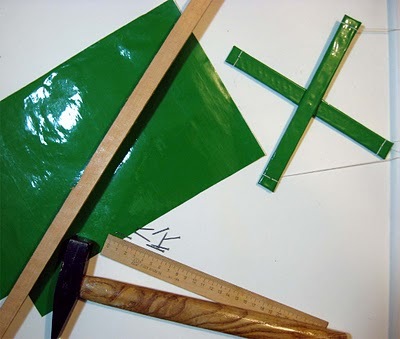 Make cross using 2 nails, you can cover your control bur with pressure sensitive paper. Make holes using awl on the end of each end of cross. Run thread or fishing line through holes, fix it. You are done. I would like to say thanks to user ledenika. She created this tutorial and made pictures. 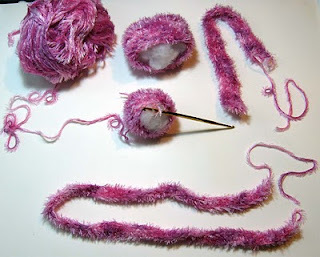 If you like knitting, crochet, embroidery and a lot of others creative, cute and handmade things visit her blog http://ledenika.blogspot.com/.